Over 60 years ago, Pearl Izumi founder and cyclist Kinji Shimizu redefined cycling apparel by researching new fabrics and immersing himself in studying the body in motion on a bike. His obsession to perfect performance cycling apparel began to help his son succeed as a bike racer. Shimizu’s approach built the foundation of Pearl Izumi. 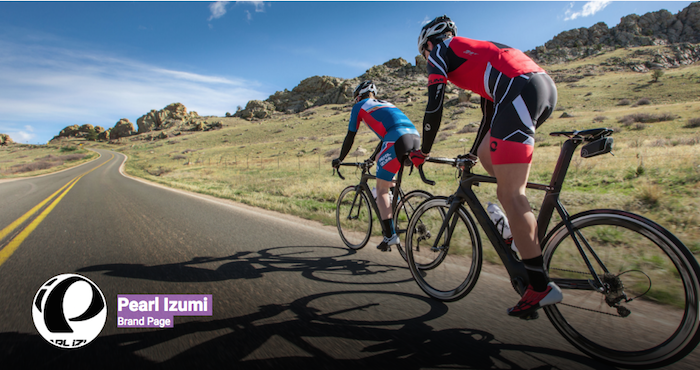 Pearl Izumi today announces a commitment to building on its legacy of innovation. As part of this “all in” commitment to cycling apparel and footwear the decision has been made to exit the Run business and focus completely on its core cycling business effective January of 2017. “Over the past 13 years, our Run team has designed award-winning product and gained a loyal consumer following. This is a tough decision, but it’s time to recommit to our core,” said Mike O’Connor, Pearl Izumi’s President. “We want to sincerely thank our Run customers, sales reps, retailers, distributors, and Champion Team who have not only helped shape the Pearl Izumi brand but have been vocal ambassadors for our gear,” said Chuck Sanson, Director of Run for Pearl Izumi. For over 60 years, Pearl Izumi has been evolving and revolutionizing the design and manufacture of performance apparel and footwear for athletes who depend on uncompromising gear. The company rooted its new world headquarters in the Colorado Front Range where it embraces strong influence, both culturally and structurally, from its Japanese heritage.